We value innovation, creativity and collaboration to a great deal. If you are excited to hear the word “mobile” and ready to work in a dynamic and exciting start-up environment, we would love to hear from you. At Blesh, you will get to work side by side with a talented team with diverse backgrounds on mobile technologies and communications. All available positions will be posted on this page. If you are interested, please click on the button to apply for the role. Our company provides location-based PaaS solutions based on mobile technologies. We are a location intelligence platform helping our customers to reach the right person on-the-go by acting on real world data of audiences and behavioral analysis based on their location visits. We are looking for a highly motivated Technology Team Leader who will lead a team of mobile, web, backend, and embedded developers and analysts. The successful candidate must have a proven experience on both team management and software development. The SoftwareTeam Leader will report to the CEO and work closely with sales and marketing teams in order to improve the existing solutions and develop new solutions. Following qualifications are “MUST HAVE” for this position. Please make sure that you meet all of these requirements. Experience on AWS cloud services, Google Cloud is a plus. Excellent communication skills and desire to communicate effectively. Interest in technology and eagerness to learn. Following qualifications are good to have in order to put you one step ahead of competitors. You are advised to present all your relevant qualifications along with the application. We are looking for an experienced and highly motivated Android Developer for our mobile development team in order to create new technology solutions for customers. 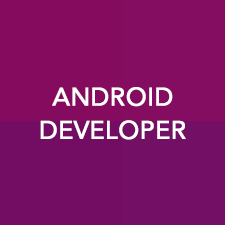 The appropriate candidate is expected to have a broad knowledge of Android operating system and its API capabilities, so that s/he can move our abilities forward. If you love working on high-end technologies, get excited tackling challenging problems and are willing to take responsibility in your area, you are welcome to meet us at Blesh. 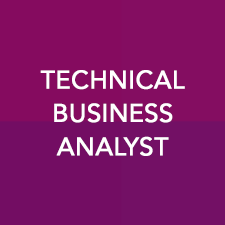 We are looking for a Technical Business Analyst for our growing team, who will work with the business development team and software development teams (including mobile, web and server development) in order to build and maintain highly available, high performance and user-friendly solutions for our business and users. 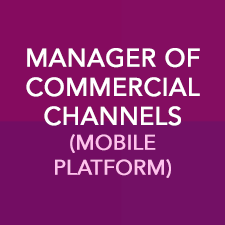 Blesh is in need of high potential professionals to assume Commercial Channel Manager role. The successful candidates are expected to have experience preferably in the technology/digital marketing industry. Minimum 3 years of partner/agency development and management in digital marketing industry. Experience in digital agencies on a sales role is a big plus. Good Digital Marketing knowledge and Omni-Channel Approach. Grow portfolio of partners, drive expansion opportunities, manage and grow the partnership. Negotiate partnership terms and develop success plans to ensure agency-wide adoption. Become an expert on the Blesh platform ands best practices. 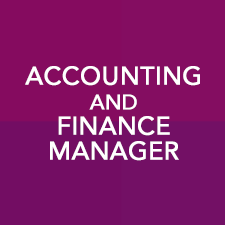 Blesh is in need of high potential professionals to assume Finance and Accounting Manager role in finance department. The successful candidates are expected to have experience preferably in the technology/digital marketing industry. Directs and/or manages the activities of accounting in accordance to accounting principles, practices and procedures. Manage the development, modification, review and implementation of accounting systems, reporting methods and controls, policies and procedures. Perform financial and accounting related activities and reporting in a timely manner. Prepare finance journal entries and account reconciliation reports. Perform month end closing activities such as revenue accounting, expense accounting, account reconciliation, etc. Managing credit and collection activities. Manage budgeting processes and prepare monthly budget,actual and forecast management reportings. We are looking for a Front-End Web Developer who is motivated to combine the art of design with the art of programming. Responsibilities will include translation of the UI/UX requirements to actual code that will produce visual elements of the application. You will work with the business analyst, graphical designer and bridge the gap between visual / functional requirements and technical implementation, taking an active role on defining how the application looks as well as how it works. 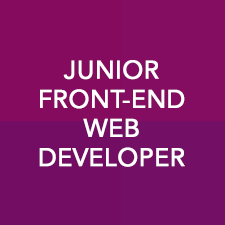 As a front-end developer, you will develop user-friendly and high-performance web applications as part of a new technology business. The ideal candidate should be self-motivated, a great team player, pro-active to produce an excellent user experience and technical solutions. Design, develop, and maintain the existing web projects. Good understanding of PHP and preferably Codeigniter is a must. Good understanding of VueJS is a must. We are looking for a Data Engineer to join our IT team in order to help us expanding and optimizing our data and data pipeline architecture, support data needs of the stakeholders, and work collaboratively with software engineers and business analysts. The ideal candidate is an experienced engineer who is passionate about working with huge data, who enjoys optimizing data systems and building them from the ground up. The job description includes designing, building and managing data systems and databases. 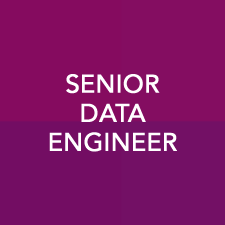 The Data Engineer will support our software developers, database architects, data analysts and data scientists on data initiatives and will ensure optimal data delivery architecture is consistent throughout ongoing projects. He/she must be self-directed and comfortable supporting the data needs of multiple teams, systems and products. The right candidate will be excited by the prospect of optimizing or even re-designing our company’s data architecture to support our next generation of products and data initiatives. Build the infrastructure required for optimal extraction, transformation, and loading of data from a wide variety of data sources using SQL and AWS ‘big data’ technologies. Work with stakeholders including the Product and Design teams to assist with data-related technical issues and support their data infrastructure needs. Interpret business needs from requests, and rapidly implement effective technical solutions. Automate and improve creation/maintenance of reports and dashboards. Utilize data to resolve business issues in the most effective manner providing best reporting through dashboards and other means of communication through data. Proactively recommend operational efficiency and performance enhancements based upon data analysis. Demonstrate outstanding communication skills to translate reporting requests in order to accurately meet the actual information and deadline needs of users. Maintain source code repository of scripts (SQL, Python, etc.) and other data products (dashboards, reports, etc. ).